During Fashion Week I like to keep my bag as small and light as possible so there's only room for some key items. One of my key items are sunglasses - LFW week means long days and short nights so I'm more than happy to cover my tired eyes with these cool Taylor Morris sunnies. 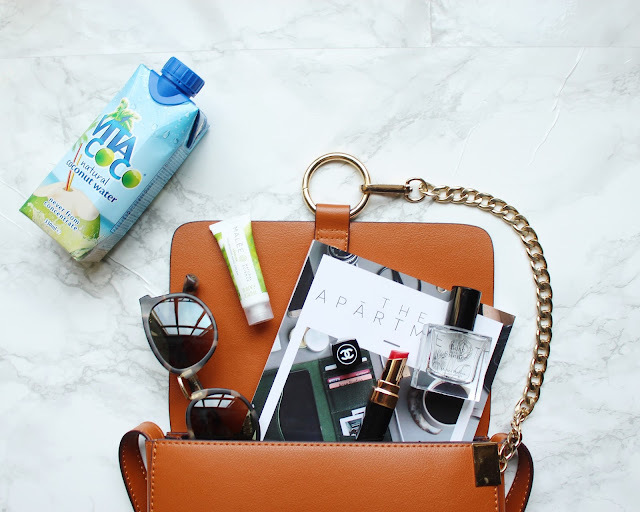 Being hydrated is really important to stay fit during these hectic couple of days and Vita Coco is the perfect refreshment. I'm really obsessed with the perfumes from Miller Harris and this rose scent puts me instantly in a good mood. During winter months my hands get really dry so I make sure I'll always have a tube of Malée hand cream with me. Last but not least we have some bright, red lipstick - you just never know what life throws at you. 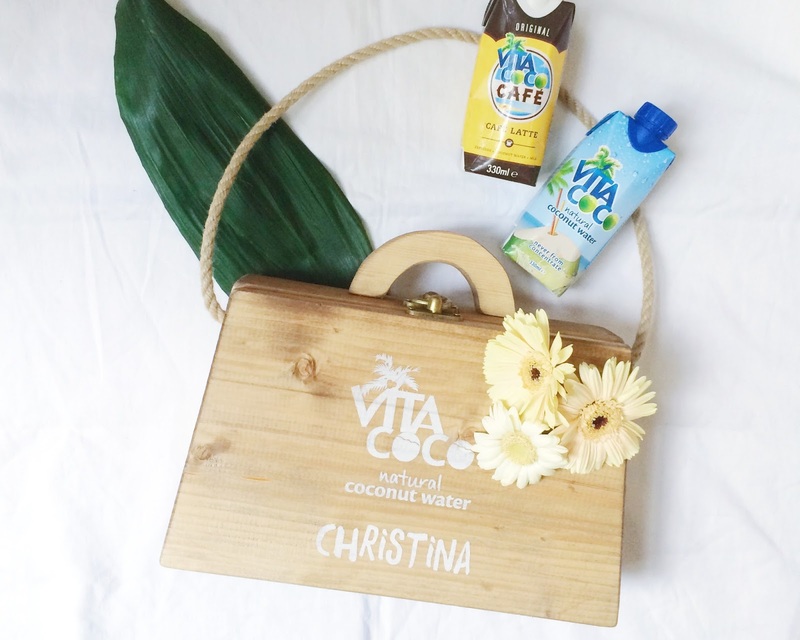 Thank you Vita Coco for sending over this cute, personalised kit - these coconut water boxes were true life savers.